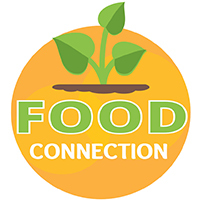 The Food Hub program’s objective is to develop a robust logistics network, throughout Chesapeake, to increase distribution of healthy foods. Healthy Chesapeake specifically targets areas identified as USDA food deserts and vulnerable communities such as low-income youths or homebound seniors. Once operational, the Food Hub facility will be a food distribution site operated in partnership with Chesapeake Regional Healthcare, Operation Blessing, the Foodbank of Southeast Virginia, and Buffalow Family & Friends Community Days! The Food Farmacy is a food as medicine prescription program where fresh produce is distributed to low-income individuals who suffer from dietary-related diseases such as diabetes and hypertension. The E-Rations program will provide 24/7 access to food and needed supplies for emergency responders to distribute to displaced clients in need. Contact us today to join the team, volunteer, donate food, teach or take a class, or invite us to your event!